A brand new game has just joined the River Horse line-up. 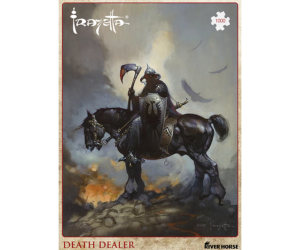 Frazetta: Card & Dice Battle Game is a quick and easy to learn game, which features fast-paced competitive gameplay using a set of polyhedral dice, as well as a set of 36 high quality oversize cards, each featuring a unique and iconic artwork by the legendary Frank Frazetta. 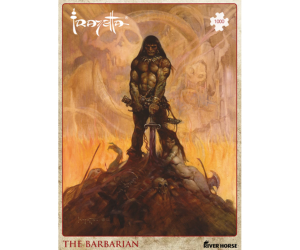 Celebrate the works of Frazetta all over again with the beautifully illustrated cards, and bring them to life as the fantastical characters fight for victory. Each character possesses Strength, Defence, Cunning, and Infamy, all of which can be wielded as weapons to strike down your enemies. Make use of special abilities to gain the upper hand and defeat your opponent. 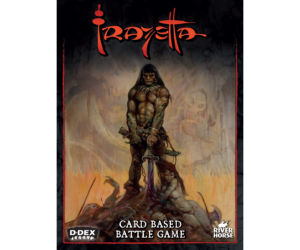 Check the game out at your local game store, or on our web store! Pacific Rim: Extinction Update Preorder Now – The Haunting of Equestria!